The Sparrow Sisters are as tightly woven into the seaside New England town of Granite Point as the wild sweet peas that climb the stone walls along the harbor. Sorrel, Nettie, and Patience are as colorful as the beach plums on the dunes and as mysterious as the fog that rolls into town at dusk. Will their reunion return their full powers, or end their soul's journey forever? When, in 1693, Karina was tried as a witch, she created a spell that launched her soul and the souls of her 2 sisters forward in time, but unbeknownst to her, a powerful demon got caught in the spell and was brought with them. This demon knows that if the sisters find each other again, they will become too powerful, so every generation it works against them to keep them apart. This generation though, Karina is known as Trin, and along with the sister she always finds, they search for the lost one. This time, someone shows up whom Trin feels like is her sister, but can she trust her? And how can she know for sure? This sounded so promising and like something I would adore, but unfortunately, I only kind of liked it. The characters were well written but I found that they didn't grow during the story. I found them all to be fairly flat and one dimensional. Even Trin wasn't as I pictured her. She was supposed to be a really powerful witch but I felt like she didn't do anything throughout the story. Now I did enjoy the flashbacks showing us what led up to the big spell, I enjoyed the fact that the witches souls keep going and that they "know" themselves each time, I even enjoyed the demon and his POVs. I just felt like something was missing. I think I wanted a little more action and magic, to be honest. Plus the "romance" was so eye rollingly typical that I really didn't buy it. Anyway, even with the things I didn't like, this was still an OK read. It kept my attention throughout and was an easy listen. Michelle Marie was easy to listen to and was clear and concise, but I found she kept the same tones for all the girls and it was quite confusing trying to figure out who was talking. I think she needs to add a little variety, especially with so many girls in the book! This was an interesting and fun book to listen. 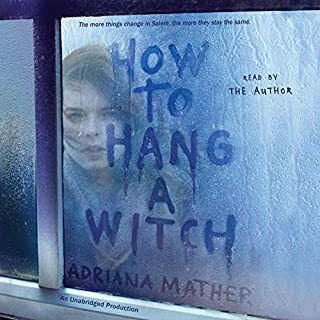 It was an unique look at witches and Wiccan and what happened several centuries ago when they were persecuted and burned. This audiobook goes back and forth between the past and present. It was easy to understand and keep up with. The Author did a great job tying things together. I loved all the twists and turns. It is not often I'm totally blown away but the way things progressed and things are not always as they seem. The narrator did a great job bringing the story to life. The pace was great. I was able to follow it easily. 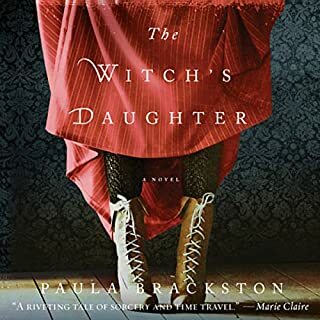 If you like story about witches you will enjoy this book. Three sisters trying to find their way back to each other after being separated for centuries . There is some suspense, drama, & romance. I read the plot and thought this will be a good story, but I was wrong. Where does The Witches of BlackBrook rank among all the audiobooks you’ve listened to so far? So far it ranks as one of the better ones I have listened to. I don't think I can give it a 5 star as it is not my favorite, but I did still enjoy it. The reader did well but I felt some of the voices could have been better. It was lacking in emotion for some of the character reads. This book was grrreat.. I was shocked about Ann Putnam. I do believe we will see her again in part 2. What a magical pleasure this read was. Off to part 2 I go. Wow. A Fantastic start to the Series. 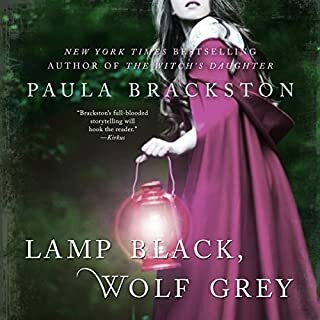 What did you love best about The Witches of BlackBrook? 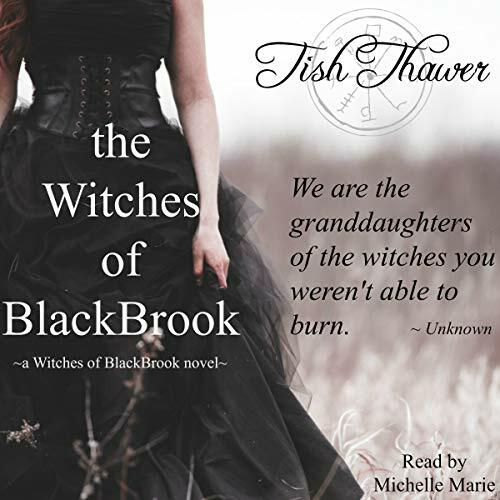 What I loved best about The Witches of BlackBrook is the way the author, Tish Thawer, wove together the past and the present to create a thrilling story. The story flowed seamlessly through the twists and turns. 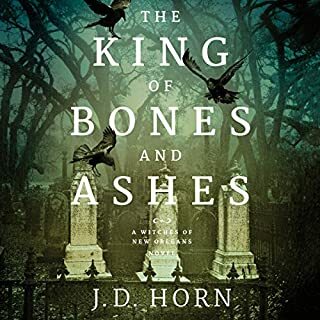 The narrator, Michelle Marie, did a wonderful job bringing to life these characters and connecting me to them. I look forward to checking out other works by her. 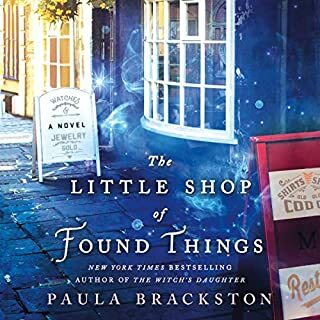 Found another author to love! I started this book, today and could not stop listening! This book is separated between different centuries and that flowed smoothly. I never got lost or confused. I grew up in the North, partially and have visited Salem, Massachusetts a few times. I appreciate that the author added a realistic view into our witch burnings of our past. How our pasts literally flow, and can determine our future. An intriguing story of sisterhood, love, strength and of course magic! A cozy, interesting story. Thanks! I love reading mystical and magical books. This particular one was so captivating. The twist at the end was not one I saw coming and that made it even more exciting and hard to put down. Definite page turner. I listened to the audio version and am very pleased with it. I think the narrator did a great job with her voice inflections to keep suspense and excitement in the words. Took less than a day to finish (about 5 hours of audio time) but as I said I couldn't put it down. The story wasn't to bad. 3 witch sisters separated through time. 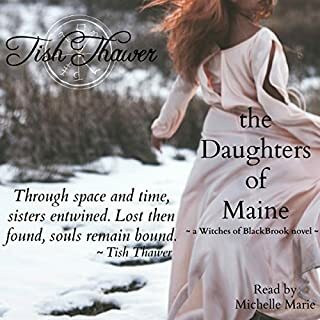 As one sister is burnt at the stake for witchcraft she casts a spell sending the sisters through time but they are separated. 2 of the sister always manage to find each other but can never find the 3rd. But in modern time Karina believes she may have finally found her + her lost love. But an evil entity has other plans for the witches. The twist was pretty obvious early on, but still an interesting listen. Michelle Marie was an ok narrator, just happy was a short book.